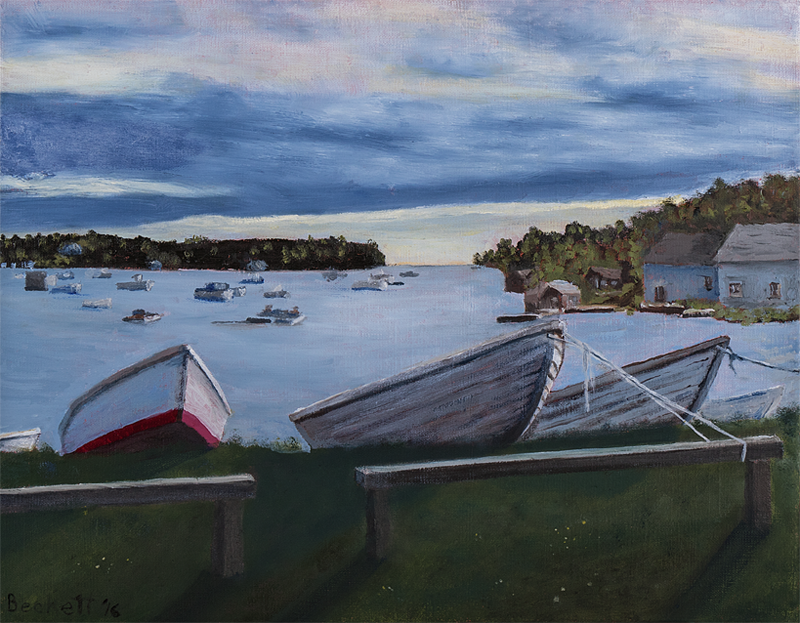 Playing with the subtleties of light and shadow, I started this painting of three boats in late January, and finished it after our trip to California (mom's) and Hawaii, three weeks later. We sail. It's our fourteenth year. So looking forward from the depths of winter!